What’s a “Soundwalk?” It’s where your ears rule your feet. Why Havana? Because there are more musicians per square foot than just about anywhere else and it’s good to get out a bit when it’s so hot, hot, hot. What better way to get to know the intimate details of a culture than through your ears and your shoes? Environmental sound artist Philip Blackburn, known for his sounding sculptures and work on Harry Partch, ambled through Old Havana recently. The city is full of sounds; you can compose your city according to the path you take. 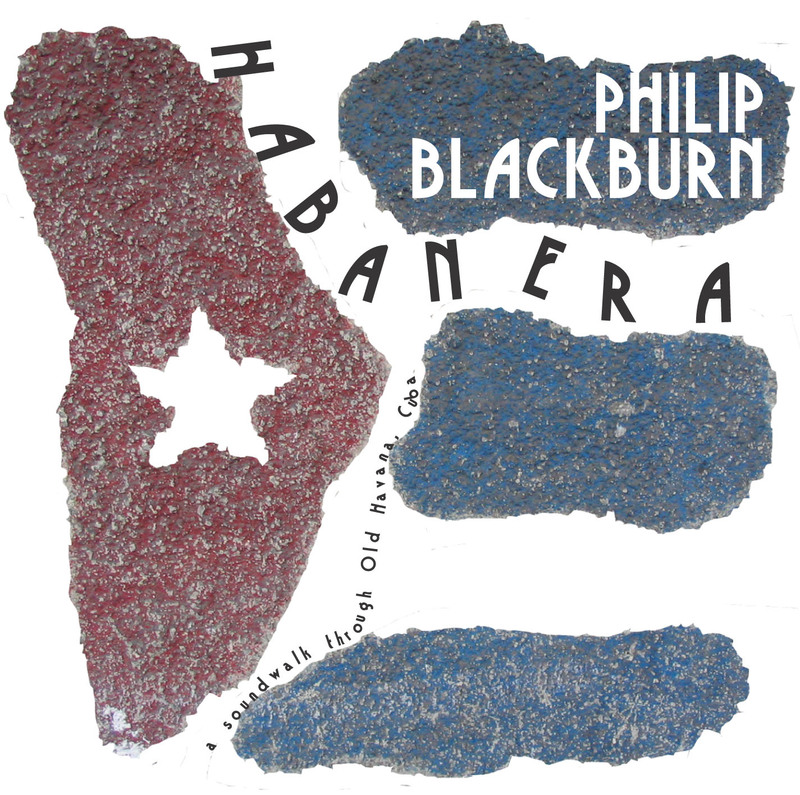 Blackburn’s path takes us past alleys, buildings and streets where you can hear Fidel waffling on and on, cigar black-marketers, flamenco dancers, kids playing, Santeria and Catholic chanting, and the nightly canon fire. Wear headphones (for the full binaural effect), turn out the lights (the CD cover glows in the dark) and swizzle your mojito. Described as "a soundwalk through Old Havana, Cuba", Habanera is Innova Records' head honcho Philip Blackburn's second mic-in-hand aural documentary, after his trip to Vietnam, Stilling Time (Innova 112). (After Vietnam and Cuba, we await forthcoming instalments from Nicaragua, Afghanistan and Iraq..) It's a veritable treasure trove of wonderful sounds, from the 9pm nightly boom of the canons across the harbour to the flush of toilets, the blare of radios, the interminable speeches of the Lider Maximo (where would Cuba be without Castro? ), the roar of traffic, the chatter and bustle of street vendors and above all the indigenous music, from the sweaty mambos and cod flamenco of the cheap tourist restaurants and bars to an authentic blast of Cuban musique concrète courtesy Juan Blanco and Juan Pinera. Blackburn's montage is as clear, skilful and beautifully executed as his recordings, and the package is as elegant and glitzy as its silver and gold packaging. A worthy companion to the Sun City Girls' South East Asian and Middle Eastern sound documentaries, not to mention Robert Millis' spectacular recordings from Laos, Cambodia and Thailand released on Anomalous last year. A street-level view of old Havana, mixes of santaria with catholicism, club music with conversations and factory work with street noise. The recordings preserve a visitors perspective rarely focusing in on one source. The wandering focus leaves one a sonic panorama of impressions. Nothing is too mundane for inspection, it is everyday life being recorded. The bouncing ricochet of music and chatter mixes itself as you walk through an acoustic chamber of structures and alleys.